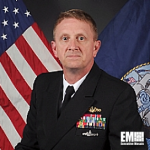 Rear Adm. Johnny Wolfe Jr., program executive for the Aegis Ballistic Missile Defense system at the Missile Defense Agency, has been nominated for assignment as director of strategic systems programs at Washington Navy Yard and for appointment to the rank of vice admiral. Defense Secretary James Mattis announced Wolfe’s nomination in a Defense Department press release published Wednesday. Wolfe previously held the roles of deputy chief engineer, head of the fire control and guidance branch, nuclear weapons security and SSGN coordinator and head of the missile branch at the SSP headquarters. He served as technical director and deputy direct reporting program manager before he was promoted to his current rank and assigned to manage the Aegis program. He also served as assistant weapons officer onboard USS Lewis and Clark (SSBN 644) four four years and as lead systems engineer of a joint skunkworks project at Kirtland Air Force Base in New Mexico. Wolfe is a recipient of a Joint Services Commendation Medal, Legion of Merit Bronze Star and Navy Commendation Medal.